An important component of this role is not only educating the residents of their district, but also the lawmakers who represent them on the state and federal levels. 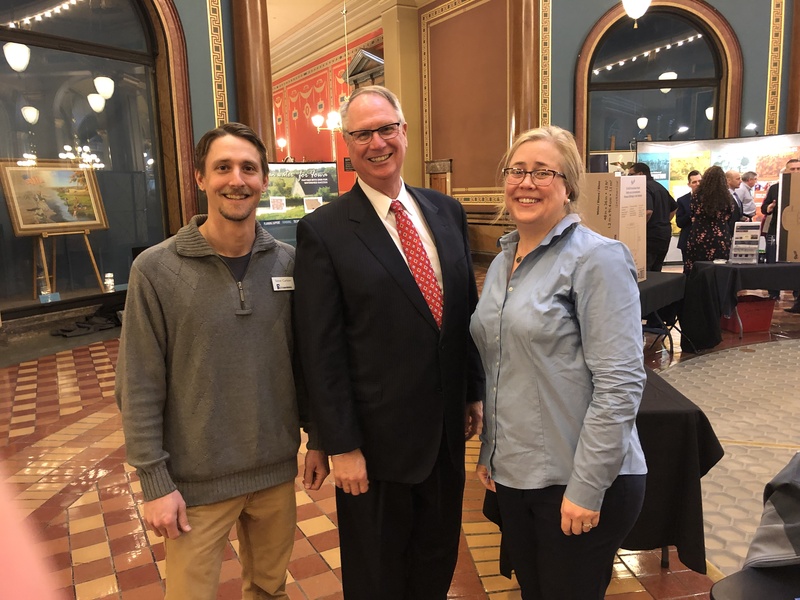 The nonprofit Conservation Districts of Iowa organizes an annual Partnership Day at the Iowa State Capitol Building to help facilitate this essential interaction. 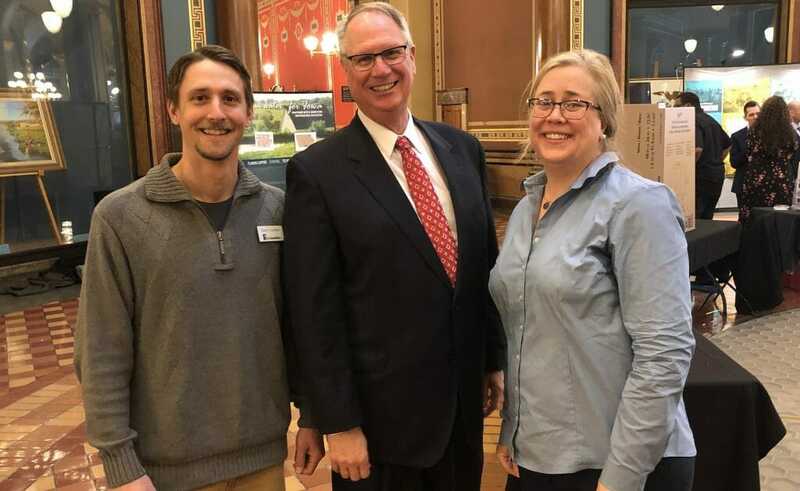 In mid-January, soil and water conservation district commissioners from across Iowa descended on the state Capitol building for one of the more successful Partnership Days to date, and PFI members were well represented. Commissioners met with 27 legislators from both the Senate and House of Representatives throughout the day. Those attending were encouraged to contact their lawmakers ahead of time to let them know of their plans to visit and intent to meet. Occasionally, this results in a scheduled meeting. More often, however, these meetings are impromptu throughout the day. PFI staff member Steve Carlson (left) and fellow Boone County SWCD commissioner April Burch met with Iowa Rep. Rob Bacon, their representative from Iowa’s 48th District. On behalf of Boone County SWCD, fellow commissioner April Burch and I had three representatives to target. We visited the entrance to both the Senate and House of Representatives’ chambers, and submitted a written request that was delivered by a page to our legislator. We struck out in all three of our first attempts, and were told to leave a note or try back later. While perusing the educational displays set up in the rotunda, showcasing successful water quality projects and other conservation efforts from across the state, we found our representative for the 48th District, Rob Bacon, doing the same thing. It’s helpful to know what your legislators look like! Rep. Bacon was happy to talk with us while strolling the rotunda. Fred Abels traveled to the state Capitol from Holland, in central Iowa, to meet with his legislators and share conservation efforts in his district. Fred Abels, farmer and commissioner from Grundy County, has had similar experiences throughout the four years he’s attended Partnership Day. 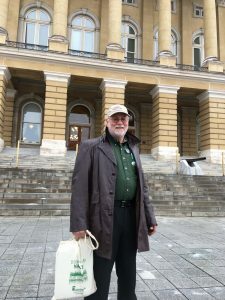 “This year I got a chance to talk with our senator, Annette Sweeney, along with another commissioner, just out on the floor,” Fred says. “The other commissioner and I are both doing conservation work, so we talked with her about that. It was pretty informal.” Sharing a personal story, as Fred did, to illustrate a point and highlight how a program works on the ground is an important way to establish credibility. 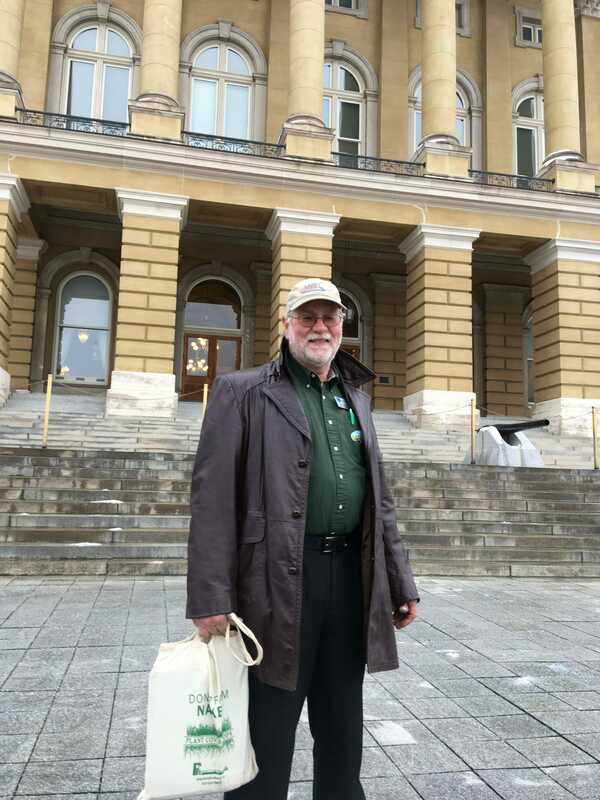 Jeff Olson stands near the steps of the Iowa State Capitol Building holding his PFI “Don’t Farm Naked” tote bag. 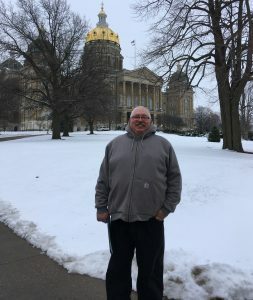 Jeff traveled from Winfield, in southeastern Iowa, to take part in Partnership Day. The primary goal for meeting with our legislators face-to-face is to develop an on-going, personal relationship and to offer ourselves as a resource for them. As a fellow elected official, commissioners are viewed by legislators as experts on local conservation efforts. Commissioners know what conservation needs are unique to their districts and whether they have the funding for technical and financial assistance to address those issues. Framing these district-specific needs to a direct funding request in the state budget helps to bring a local context to their decision. Conservation Districts of Iowa provides commissioners with the budgetary details needed to make an informed request. For instance, the Soil Conservation Account was allocated $3.8 million in FY19, but it would take funding at the $8 million level to ensure district offices have adequate staff to deliver their programs and perform outreach to landowners. If funding for the Iowa Financial Incentive Program was increased from $8.3 million to $12.5 million, we could fund the current backlog of conservation practices. To learn more about how to get involved with your local soil and water conservation district and what’s involved, contact Steve Carlson at (515) 232-5661 or steve@practicalfarmers.org.